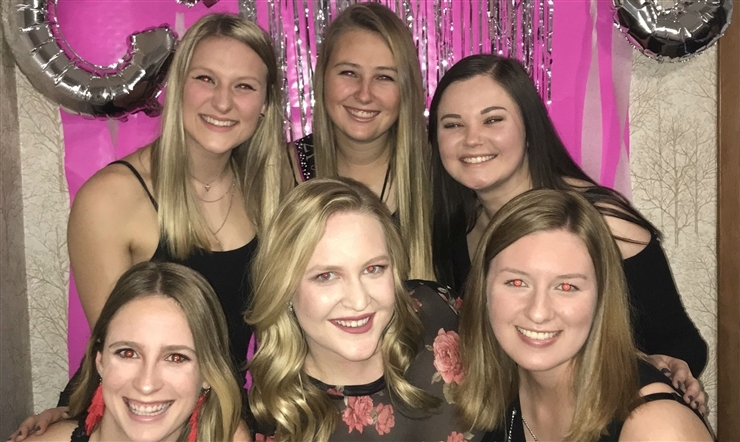 When Madison Volpert came to St. Ambrose University as a freshman, she thought she would spend the standard four years completing her undergraduate degree. But on May 12, 2018, Madison will be graduating a full year early and will start the Doctor of Occupational Therapy program this fall. Volpert, from Chatham, Ill., chose SAU for the Occupational Therapy (OT) program and its proximity to home. "St. Ambrose really had the whole package," she said. When the OT program became a doctoral program, Madison decided she wanted to graduate early. "In my eyes, seven years was a lot of school, so if I could cut it down to six years, that would be helpful both money and time wise," she said. "And I want to get out in the field and start working." 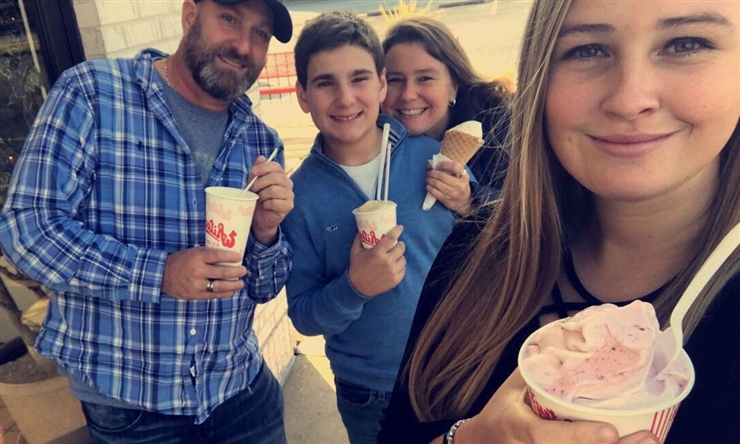 To graduate in three years, Volpert had to take a full class schedule, including one semester where she took 21 credit hours (18 hours is considered a full class load). She also took classes over the summer and winter breaks. "I took a lot of my science classes online, because they were harder to fit into my schedule," she said. "Obviously, there were some long hours and lots of work." Volpert was first introduced to the idea of occupational therapy through working at a summer camp called L.E.A.P., a program of adaptive recreation for individuals with disabilities through the Springfield, Ill., Park District. She loved working with the children and began learning therapeutic techniques. "I loved working at the summer camp, and the techniques and tools I learned got me interested in therapy," she said. "From there, I started job shadowing different occupational therapy settings." 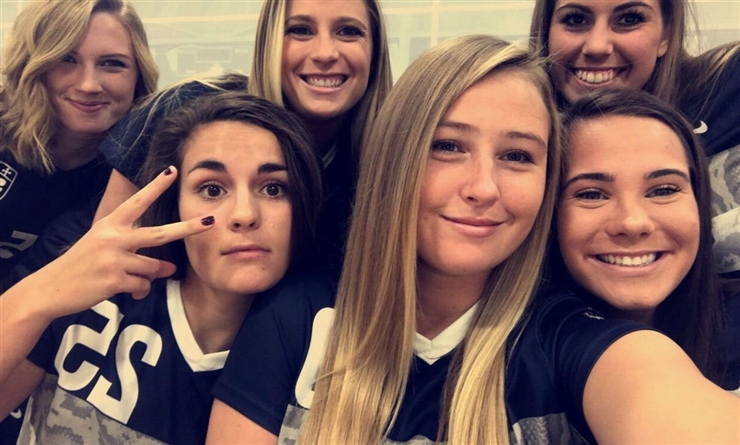 Not only is Volpert graduating a year early, she is also a member of the SAU women's soccer team, including being a team captain for the past year. She learned how to balance her schoolwork, soccer, and personal time. "If I had a game, then I would spend the night before in the library. I would also bring my books and other stuff on the bus when we traveled for soccer because the bus had Wi-Fi, so I was able to get work done." Volpert credits her coach Jon Mannall for instilling the entire soccer team with a school-first mentality. 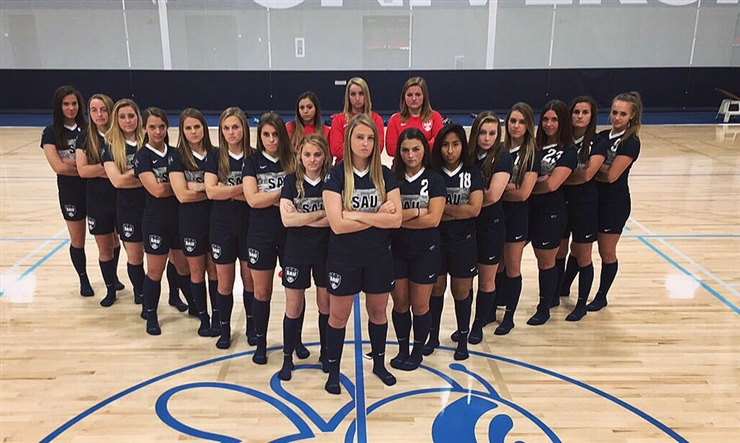 "School definitely comes first in the SAU soccer program, which helped my educational career," Volpert said. "That helped me out, being around people that had the same mindset." Being a team captain has been very rewarding for Volpert. "It can be hard being the communicator between the coaching staff and teammates, but I'm glad this coaching staff and my teammates believe I can fit that role," she said. My teachers have been so helpful. They really helped me have a successful education experience. Volpert's undergraduate experience has been exceptional, including meaningful interactions with her professors. "My teachers have been so helpful," she said. "They really helped me have a successful education experience." 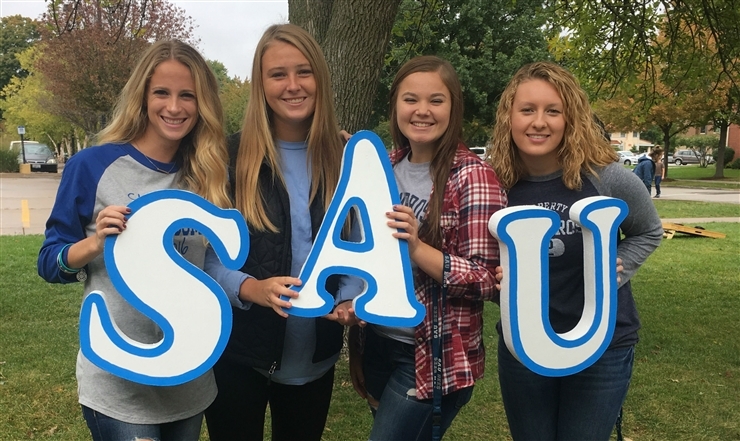 Overall, Volpert's favorite thing about SAU has been the people. "I've made a lot of friends through playing soccer," she said. "We recently had a teammate on the men's soccer team who was in a car accident, and both the men's and women's teams raised almost $23,000 for him. It's been an awesome experience seeing everyone come together and support him." This fall, Volpert starts her work in the Doctor of Occupational Therapy program. "I am most excited about the field work and getting more experience in each field of OT," she said. "I am curious about all the different paths my career can take me."